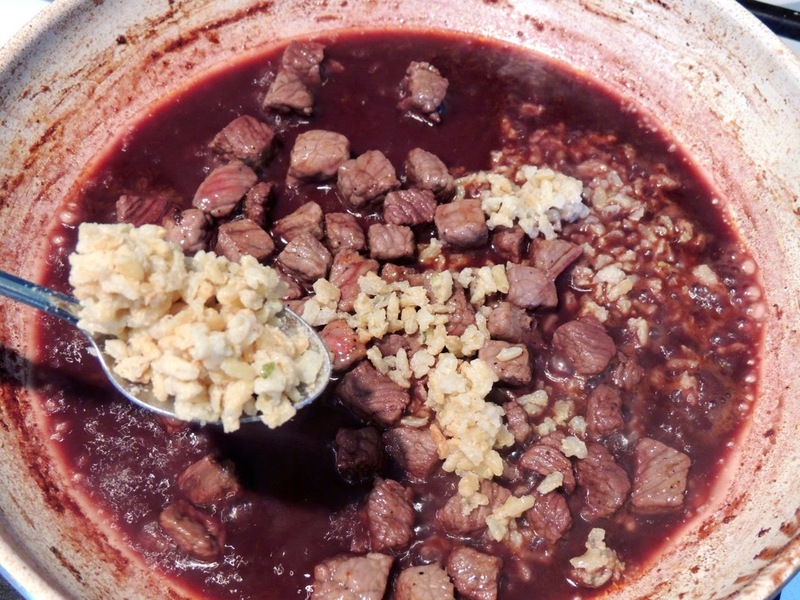 This is a recipe that my husband makes for himself all the time. I think he learned to make it from his dad. I love men that can cook! It's easy to make with just a few simple ingredients. 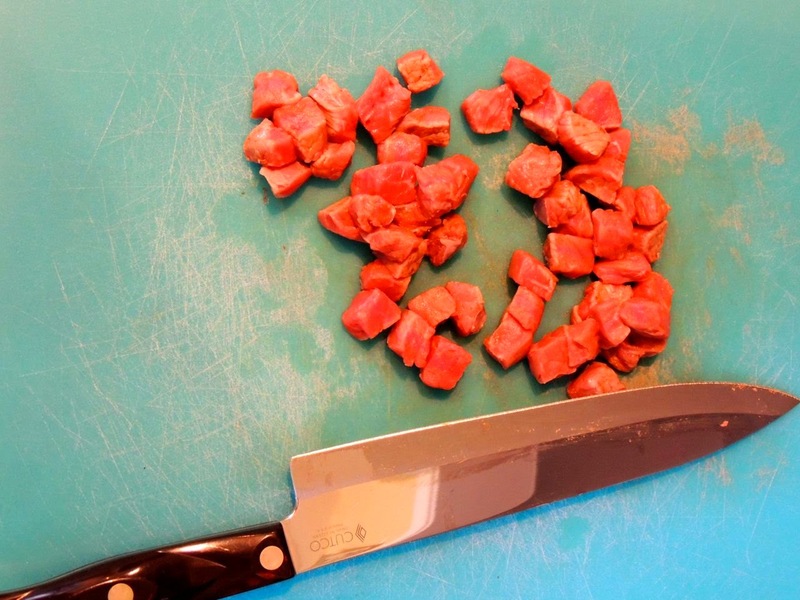 Cut the meat into 1/2" cubes. 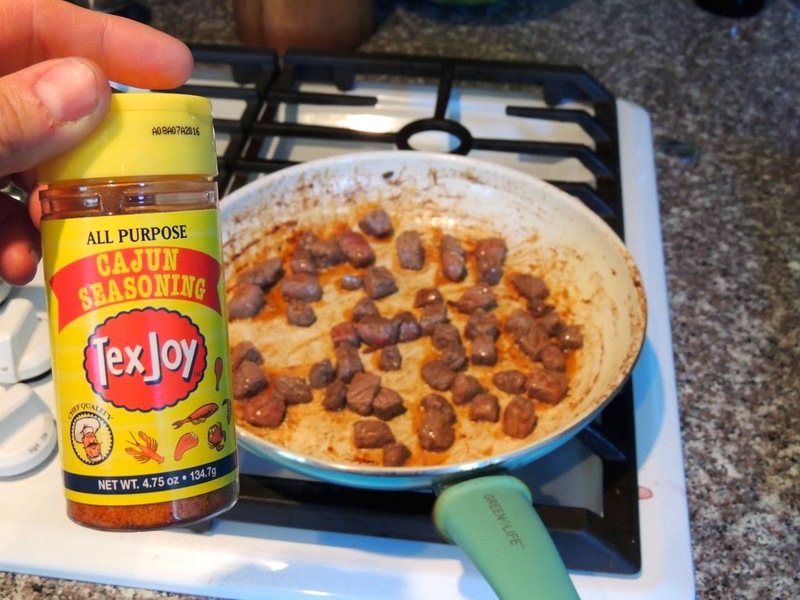 Coat the steak with TexJoy and brown it on all sides, stirring as necessary. 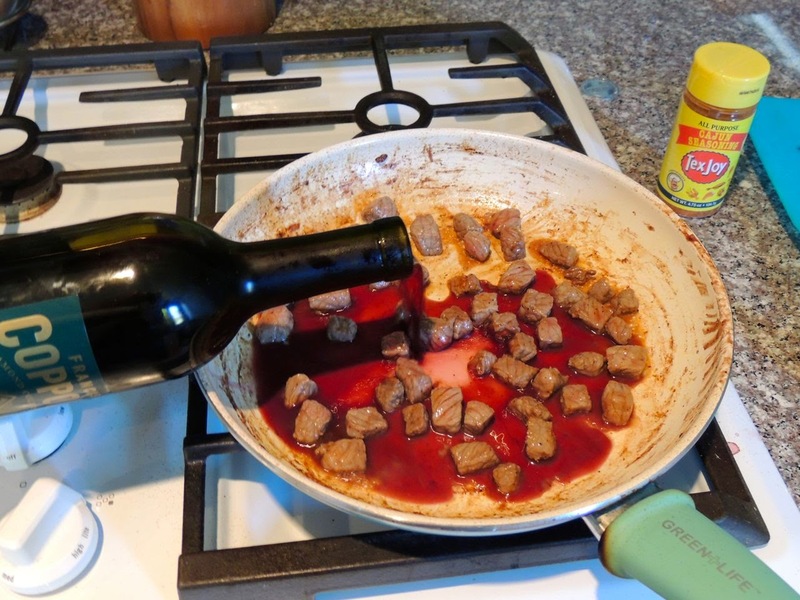 Pour wine over steak and bring to a boil. 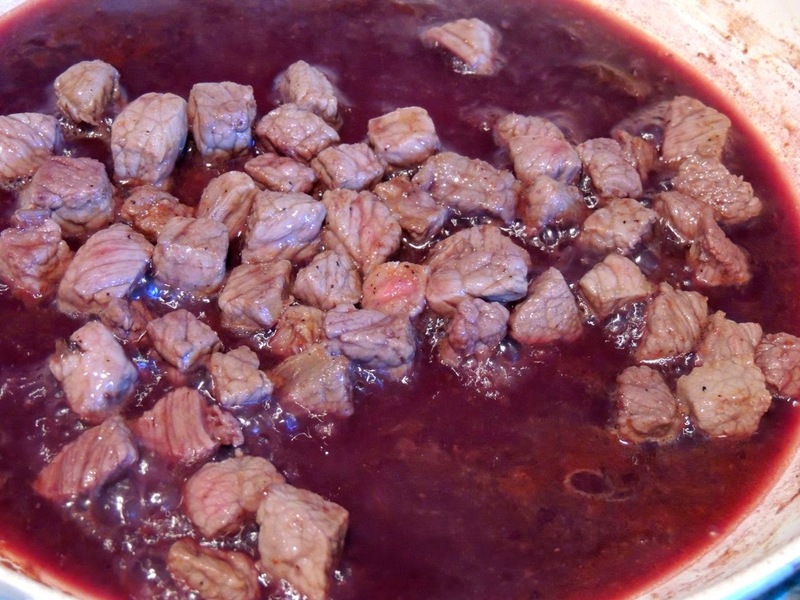 Allow to boil until wine is reduced 50%. 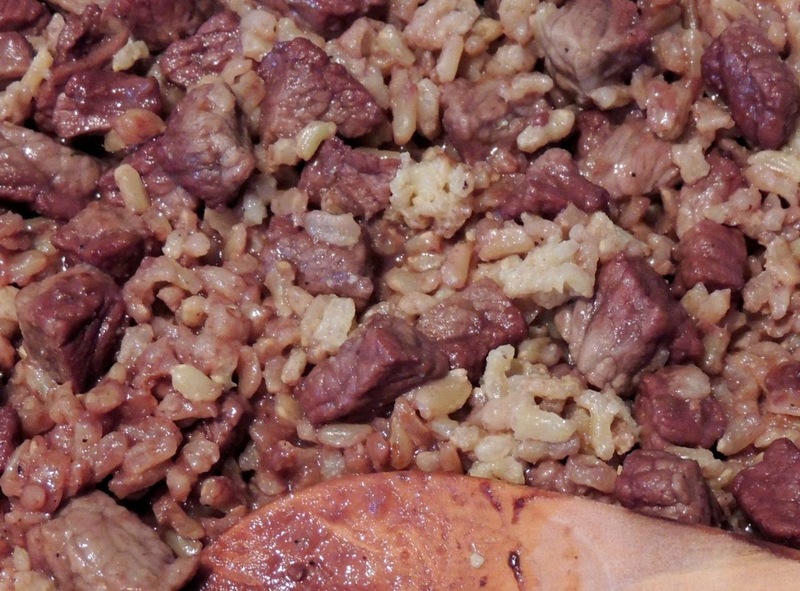 Mix the rice into the wine and steak.